Earlier today we've shown you purported dummies of the three upcoming iPhones launching this September. Since one of those models will be the biggest iPhone ever, you may have been wondering if Apple was planning to do something special with its user interface. This leak confirms that it is. 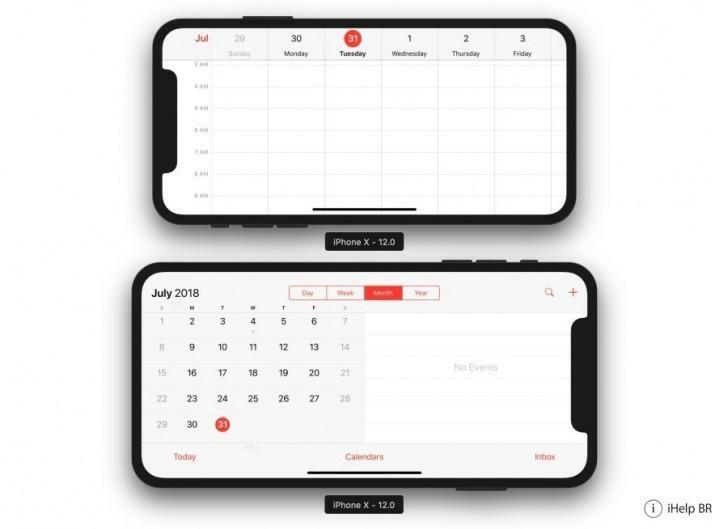 Thanks to the latest beta of iOS 12, the version of the OS that will be preinstalled on the 2018 handsets, we can see that the company will use an iPad-like landscape UI for the iPhone X Plus - the 6.5" device (the official name hasn't been leaked yet). While the other devices get what is basically just a rotated view of an app's UI, identical in content to what you'd see in portrait mode, the biggest iPhone will have a dual-pane UI in landscape, just like the iPads. In these examples, the Messages app shows the list of your conversations on the left, with their contents on the right. The Calendar app has the month view on the left and an overview of each day's events on the right. This should allow for better productivity on the go, since you don't have to go back from a chat to the root list in order to talk to someone else - you only need to tap on the corresponding conversation on the left. The same applies for jumping between different dates in your calendar. 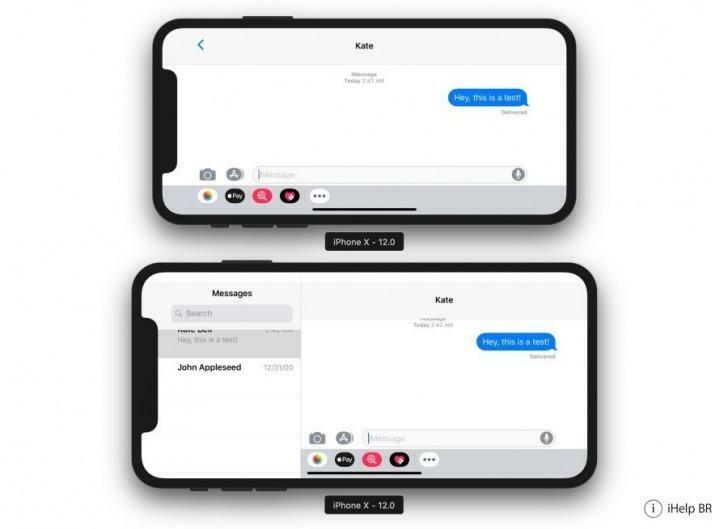 Obviously, the iPhone X Plus will fit more information on the screen than the smaller iPhones even in portrait orientation, but that's just showing more lines essentially, not changing the interface in a significant way. After iPhone >> iPAD After iPAD what Next?? ?